The Bloodhound Gang is to the 1980s PBS show 3-2-1 Contact what Mathnet was to Square One. That reads like a standardized test question, but it holds up. 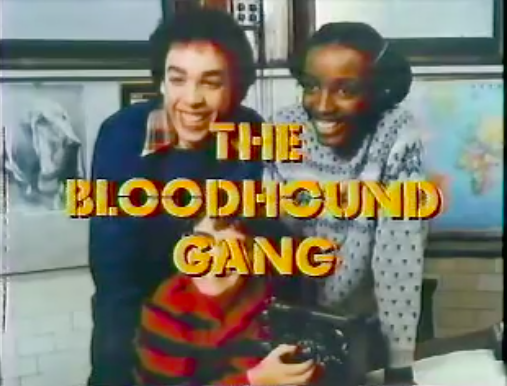 The Bloodhound Gang was the breakout segment of the larger educational program, featuring Vikki, Ricardo (Rembrandt from The Warriors! 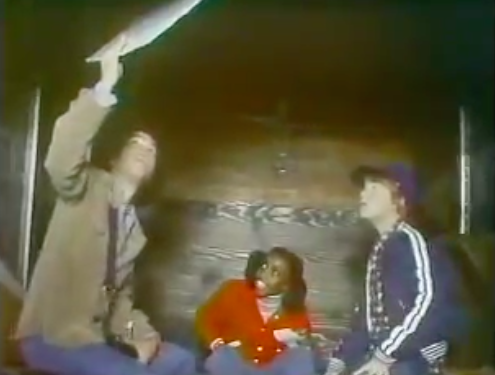 ), and a rotating cast of junior detectives who solved a mystery (roughly) every week. The mysteries were somewhat age-appropriate, and solving them usually involved some sort of science or math trick. The bits were short, around 5 minutes, and serialized; mysteries would take a few days to solve. The segment was very popular on 3-2-1 Contact, to the point where there would be an announcement at the beginning if an episode didn’t include a Bloodhound Gang segment. The Bloodhound Gang was cancelled after the unfortunate and untimely death of Ricardo, actor Marcelino Sanchez, in 1986. 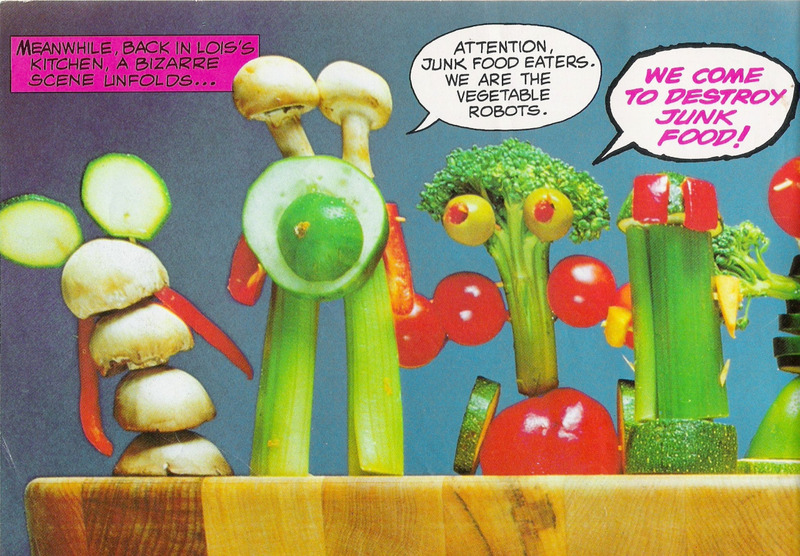 The fond memories of the segment/show and its catchy theme song live on, though. Here’s an episode. This bizarre(-o?) (get it?) 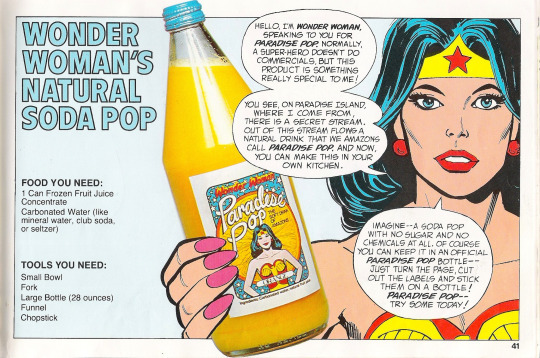 set of recipes featuring the Justice League and aimed at kids first appeared in a 1981 issue of Woman’s Day, but eventually was published as its own thing. 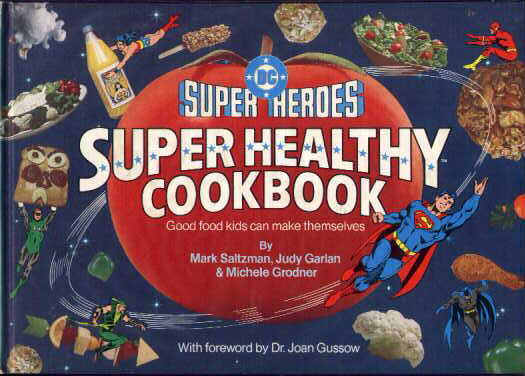 This cookbook pretty much nails everything it tries to do. 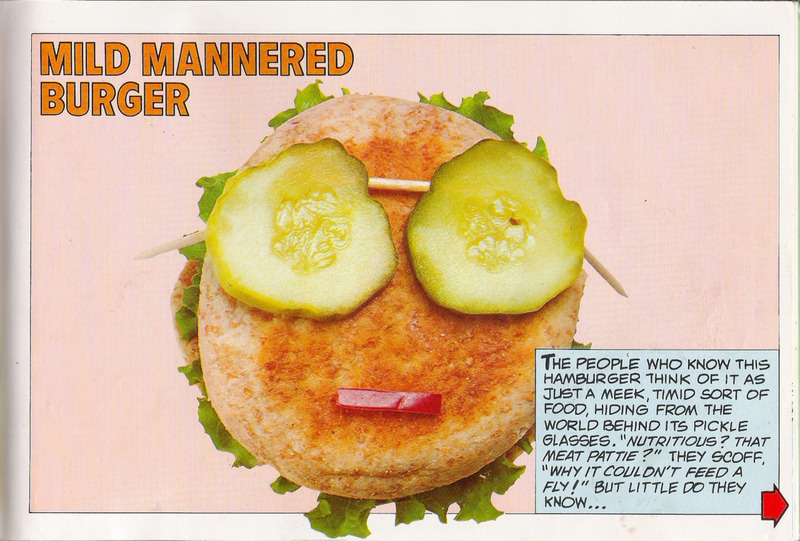 The recipes are fun and more or less in-ine with the character they’re associated with. 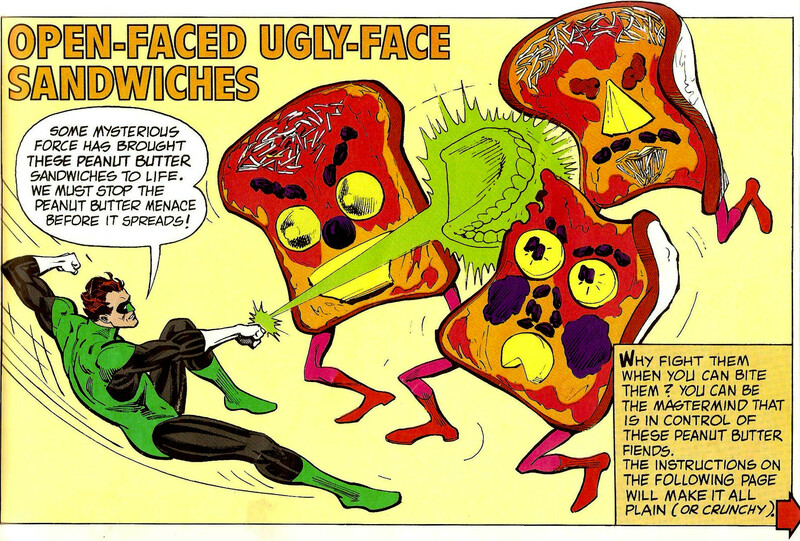 The writing is cute and cheesy and comic-book-y, the illustrations are absolutely fantastic, and the food itself is (relatively) healthy. It’s out of print so you could maybe find a copy for a whole ton of money, or you could visit this Tumblr set up in tribute to it! Before World of Warcraft took over the MMORPG world, Blizzard merely had a hit PC game franchise on their hands and apparently a very ’90s mentality of how best to manifest that franchise. Why did Warcraft need to stay a strategy game? Why not, say, a point-and-click interactive narrative game? If not for thinking like this, World of Warcraft may never have come about; thankfully, though, someone put the kibosh on this adventure game adaptation of the Lord of the Clans novel before it saw the light of retail. 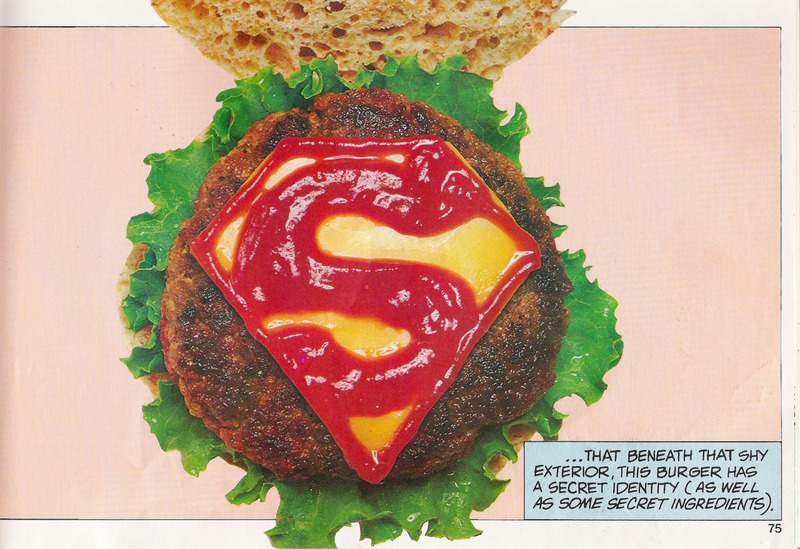 That didn’t stop fans from discovering it decades later, though. This is some Legend of Zelda: Wand of Gamelon level-stuff, right here. The stop-motion in this now-largely-false educational video about dinosaurs is out of this world. Everything else is not. 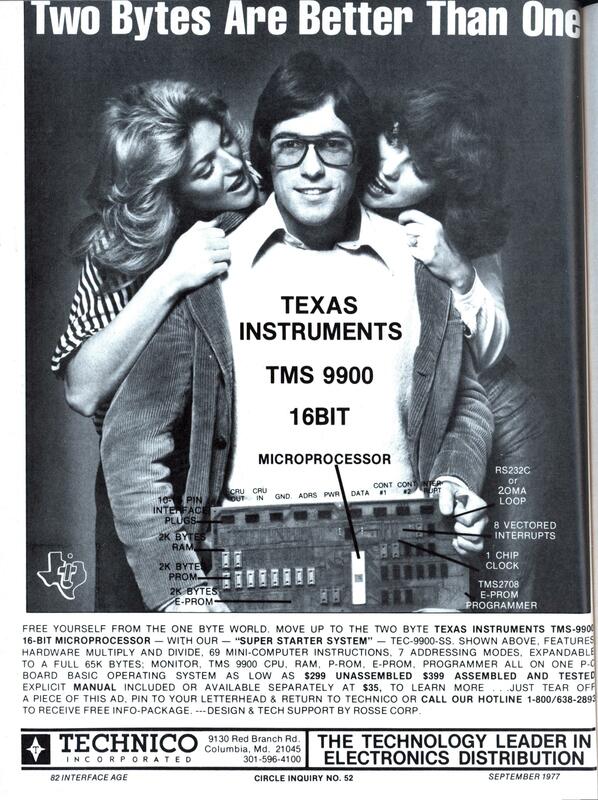 This 1977 ad for Texas Instruments 16-bit microprocessor is great. You can’t fool me with those glasses – that guy’s not a nerd!